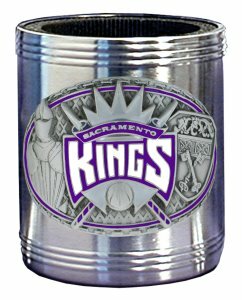 This NBA Sacramento Kings stainless steel can cooler keeps canned beverages cool in style. Team colors are expertly enameled on emblem depicting the Sacramento Kings team and the city they represent. Check out our entire line of NBA merchandise! 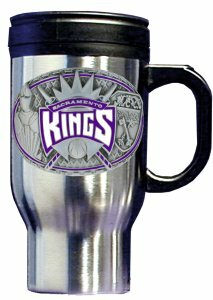 A great way to show off your Sacramento Kings team spirit! 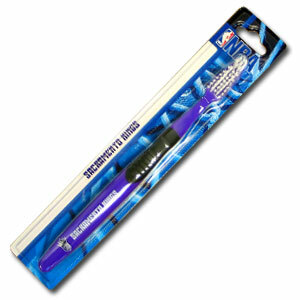 Our NBA Sacramento Kings Licensed toothbrushes have opposing angled bristles to reach between teeth with each forward and backward stroke. The extended tip accesses hard-to-reach areas of the mouth. 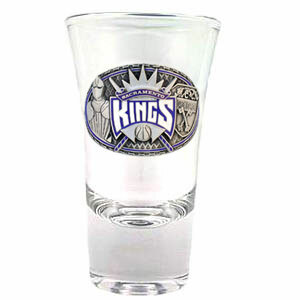 Our NBA Sacramento Kings flared glass shooter contains a uniquely sculpted and enameled 3-D emblem. Our flared shooter makes a great gift or collector's item. 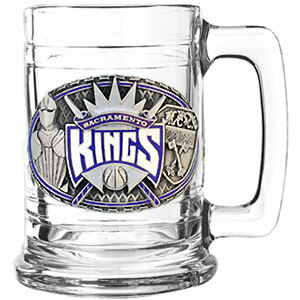 Our NBA Sacramento Kings colonial tankard has a uniquely sculpted and enameled emblem that depicts the team and community. 15 oz capacity. Check out our entire line of NBA merchandise! Show off your team pride with our large logo NBA Sacramento Kings hitch cover. 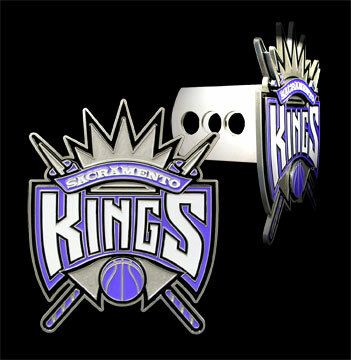 The Large Logo NBA Sacramento Kings Trailer Hitch Cover logo is carved in detail and enameled in team colors. Easy to install and fits Class II and Class III Hitches (plugs included). Approximately 4 1/2" x 5 1/2".